OXFORD, Miss. – The founder and executive director of South Asian Americans Leading Together is making a series of appearances Oct. 14–16 at the University of Mississippi. 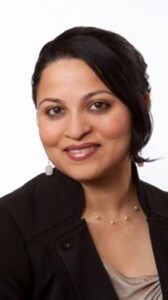 Scholar–activist–lawyer Deepa Iyer lectures Wednesday (Oct. 15) at the Overby Center Auditorium and Thursday (Oct. 16) at the Robert C. Khayat Law Center, Room 1090. Both events start at 5 p.m. and are free to the public. Iyers is also the noon brown bag luncheon speaker Tuesday–Thursday at the William Winter Institute for Racial Reconciliation, on the third floor of Lamar Hall. Iyer is a prominent spokesperson and adviser regarding policy and issues related to South Asian communities. She has written widely on post–9/11 backlash, immigration reform, racism and law enforcement, and access to political, social and economic benefits. “Her experience founding, developing and directing SAALT demonstrates to the University of Mississippi the ability to identify a void in the American racial landscape, illuminate issues of inequity, and develop awareness, policies and solutions impacting South Asians,” Stollman said. Iyer said she is honored and privileged to be spending a week with UM students and faculty. For more about the Winter Institute, visit http://www.winterinstitute.org/. For more about Deepa Iyer, visit http://www.deepaiyer.me/. For more information about SAALT, go to http://www.SAALT.org.